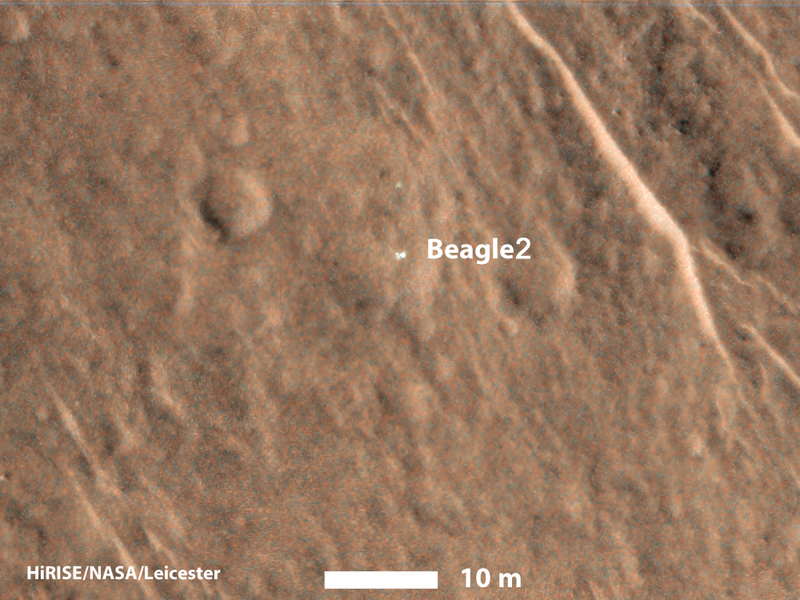 On Christmas Day 2003, the British lander Beagle 2 entered Mars’ atmosphere and was never heard from again. It had hitchhiked a ride off of ESA’s Mars Express orbiter. The lander successfully departed Mars Express and then nothing. Mars is hard, and many a spacecraft has ended in demise trying to orbit around or land on the red planet. 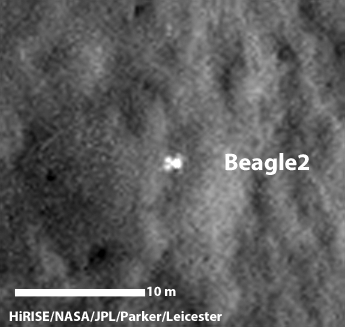 Beagle 2 never phoned home. Its fate was unknown. This is before the arrival of Mars Reconnaissance Orbiter (MRO) and its high resolution HiRISE camera. MRO entered orbit in 2006 and is the highest resolution imager sent to a planet in our Solar System. Now a days it is used to capture the descent of Phoenix lander and Curiosity rover (which is a challenging feat in itself), but that information gives a glimpse of what was going on if something goes awry in those 7 minutes of terror of landing, entry and descent. Later it can be used to to spot the lander on the surface. But the only image of Beagle2 at the time of its’ landing attempt is the separation image from it’s mothership Mars Express. For 12 years it’s fate wasn’t known. HiRISE can resolve objects down to the size of a small card table on Mars’ surface. The predicted landing ellipse for Beagle 2 was imaged by HiRISE and scientists scoured the images looking for something in essence not red. 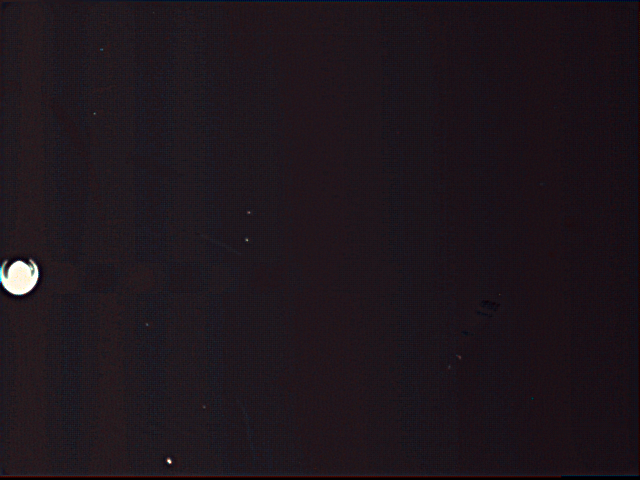 They looked for something bright and shiny in the images that could be Beagle 2. And they succeed. A few days ago, ESA and NASA announced that the Beagle 2 and its used parachute had been found. The British lander wasn’t found in pieces scattered across the surface. It was intact. It had successfully landed on the surface. A huge accomplishment and success for the United Kingdom. 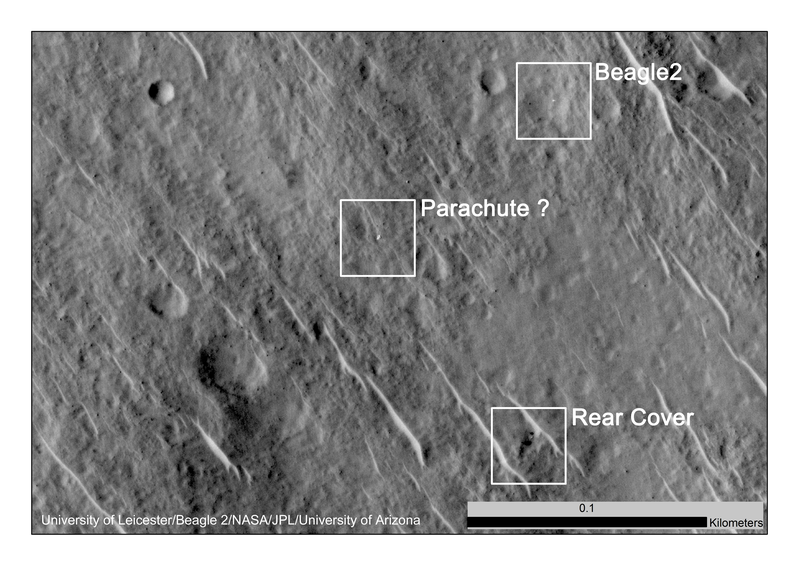 They stuck the landing but the deployment had some hitch preventing Beagle 2 from communicating with Earth.With HiRISE’s resolution, the images reveal the rough outline of the lander. Beagle 2 had a petal design. All the petals had to deploy for the communications antenna to be exposed and able to send/receive signals. It appears that Beagle 2 only partially deployed (a broken cable, an air bag that didn’t inflate or deflate, a rock underneath could be one of the multitude of reasons that could have prevented the final panels from unfurling), with that vital communications antenna blocked it ended the mission.